Tomorrow (26th June 2013), Cafe Oto are opening up pre-orders of their latest LP Improvisations, a double LP taken from the recordings of saxophonist Roscoe Mitchell’s first night of his two-day residency at Café Oto in 2012. He was joined by double bassist John Edwards and drummer/percussionist Tony Marsh who died just a few weeks later, making this his last documented performance. 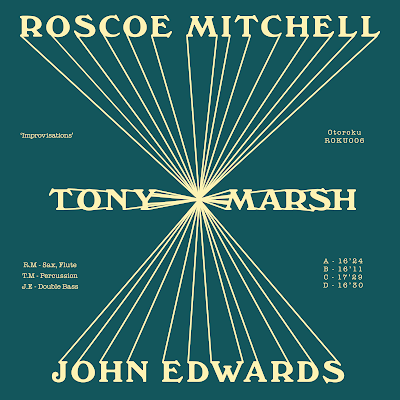 The album is dedicated to the memory of Tony Marsh.